It was just recently revealed by insiders, that not all Canadian Provinces get their mug, despite of the initial rumors. 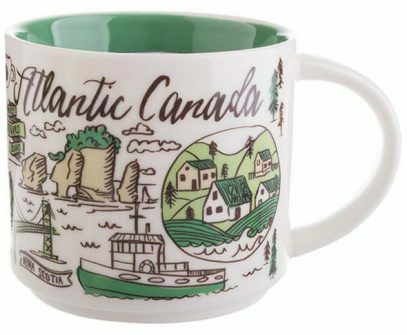 Specifically New Brunswick, Newfoundland and Labrador, Nova Scotia and Prince Edward Island will join BT family with one and only mug – Starbucks Been There Atlantic Canada. Even though it makes sense (there are not that many Starbucks stores there) I do feel the frustration of the collectors living in these four provinces. Well, at the end, this is better than nothing.